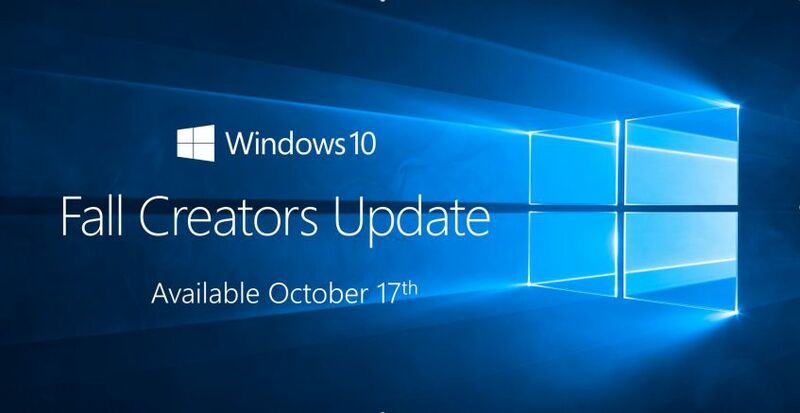 After six months of testing, feature update to Windows 10, version 1709 also known as Windows 10 Fall Creators Update is now rolling out for end users. The new update comes with lots of new features including Fluent Design, Eye tracking, new emoji additions and much more. Microsoft also launched its Windows Mixed Reality (VR) headsets with the Fall Creators Update. We’ve posted few new features of Windows 10 Fall Creators Update. Check out full details below. A new on-demand feature lets OneDrive pick out data from the cloud when it’s needed, without having to sync full files and folders to a device. Technology is all about making it easier for you to connect with your most important people. Whether you want to share a photo, make plans for dinner, or get an answer from a friend or coworker – My People is here to take it to the next level and bring the people you care about most to the center of your experience. The goal of My People is to “bring the people you care about most to the center of your experience.” To try the new feature, open the Windows Store and make sure you have the latest updates for Skype, Mail, and People apps. Then click on the People icon in the taskbar and follow the setup instructions. Microsoft Windows Mixed Reality is now available with the Fall Creators Update. To use Mixed Reality you’ll need to purchase a separate headset from PC makers like Acer, Asus, Dell, HP, Lenovo, or Samsung. The setup process just involves launching the Mixed Reality Portal app, and most modern PCs will be capable of running basic apps in Mixed Reality. You’ll need a more powerful machine to access some of the more demanding games and experiences. Light – Light helps enable the ability to draw someone’s attention, or more clearly guide them through their navigation. Depth – Depth helps us understand how things relate to each other when they’re within a more layered, physical environment. Motion – Motion is a powerful way to establish context and imply relationships between content in natural, subtle and delightful ways. Eye Control Beta makes Windows 10 more accessible by empowering people with disabilities to operate an on-screen mouse, keyboard, and text-to-speech experience using only their eyes. The experience requires a compatible eye tracker, like the Tobii Eye Tracker 4C, which unlocks access to the Windows operating system to be able to do the tasks one could previously accomplish with a physical mouse and keyboard. New emoji additions include dinosaurs, genies, fairies, and even zombies in time for Halloween. They’re all available in a really neat new emoji panel. 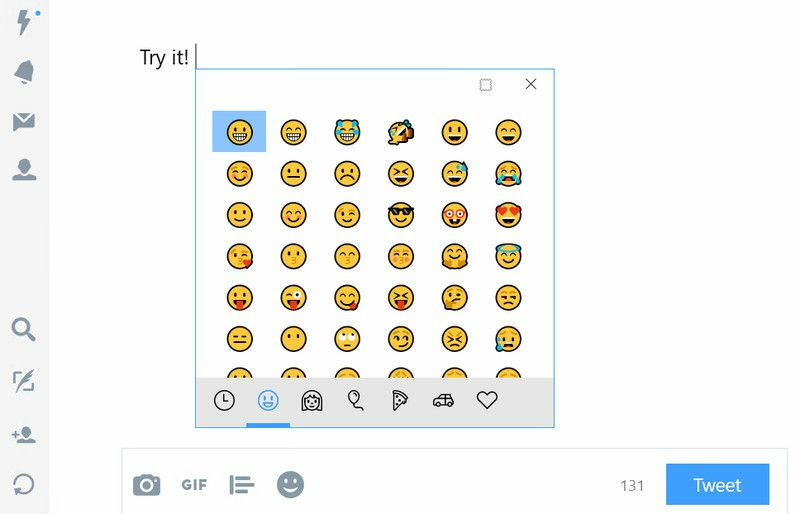 You can summon the emoji panel by using Win + period or semicolon as a keyboard shortcut. The panel also supports searching for emoji, so it’s the perfect way to quickly send that ideal response during a conversation. Cortana will now display call notifications if you’re using an Android phone in Feature update to Windows 10, version 1709. The digital assistant will sync notifications if you have Cortana installed on an Android device, and it gives you the ability to text a person if you’re busy on your PC, or decline the call. Microsoft has also moved Cortana’s settings into the main settings part of Windows 10. Cortana can now even lock, sign out, shut down, or restart your PC with voice commands. Feature update to Windows 10, version 1709 has added a nice addition for tracking GPU performance. 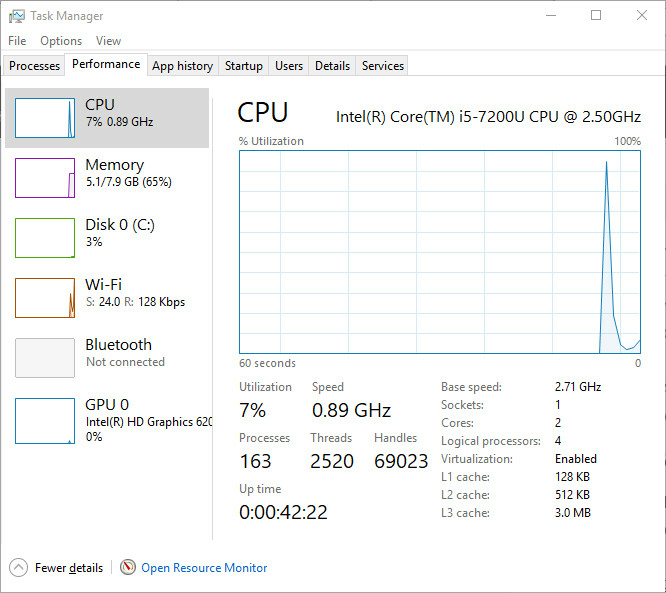 Task Manager now has a new GPU option in the performance tab that shows GPU utilization and memory usage. Processes are also now grouped in the main Task Manager interface, making it easier to control them. Microsoft is also addressing the issue of blurry apps when you use a monitor with a laptop or a second screen. If you have a high DPI display like a 4K monitor, you’ll no longer have to log out to fix blurry desktop apps.